THE Supreme Court on Tuesday cancelled the bail of Zahoor Ahmad Shah Watali, a Kashmiri businessman, in a terror funding case saying NIA has collected ample evidence to show linkages between the Hurriyat leaders of Jammu and Kashmir and terror organisations as also their activities to wage war against India. The bail was granted by the Delhi High Court to Watali arrested by NIA for his alleged role in a terror-funding case involving Pakistan-based Lashkar-e- Toiba (LeT) chief Hafiz Muhammad Saeed. “Ample material has been collected to show the linkages between the Hurriyat leaders of the Jammu and Kashmir and terrorists/terrorist organizations and their continuous activities to wage war against Government of India,” said a bench of Justices A M Khanwilkar and Ajay Rastogi. The judgement assumes significance in the light of the Government’s recent crackdown on separatist outfits based in the State. The apex court’s verdict came on an appeal filed by the NIA against the High Court’s September 13, 2018 judgement granting bail to Watali. Cancelling the relief granted to Watali, the bench said the high court “adopted an inappropriate approach” while considering his bail plea by discarding all the material and evidence placed on record before it by the National Investigation Agency (NIA). The apex court said the High Court ought to have taken into account the entire material on record as it is and form an opinion on the basis of it, instead of weighing the evidence. “The elaborate examination or dissection of the evidence is not required to be done at this stage (of grant of bail). The court is merely expected to record a finding on the basis of broad probabilities regarding the involvement of the accused in the commission of the stated offence or otherwise. “From the analysis of the impugned HC judgement, it appears to us that the High Court has ventured into an area of examining the merits and demerits of the evidence,” the bench said. It said that after analysing documents and statements which form part of the chargesheet and other redacted statements on record, it disagreed with the conclusion of the High Court that there was no prima facie material to show that Watali was involved in the conspiracy to raise funds for terrorist activities. “In our opinion, taking into account the totality of the report made under section 173 of the Criminal Procedure Code and the accompanying documents and the evidence / material already presented to the court, including the redacted statements of the protected witnesses recorded under Section 164 of the Code, there are reasonable grounds to believe that the accusations made against the respondent (Watali) are prima facie true,” the SC said. 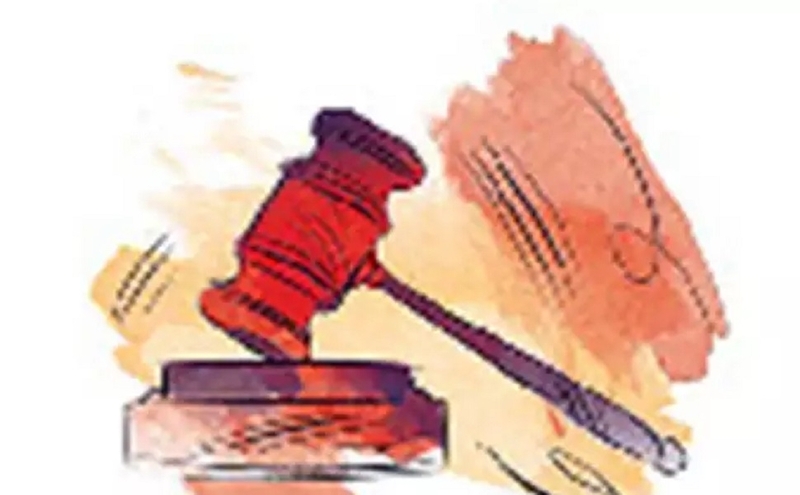 The bench said the HC, “ought to have taken into account of the evidences which depicted the involvement of the respondent in the commission of the stated offences and being a member of a larger conspiracy, besides the offence under Section 17 for raising funds for terrorist activities.” The apex court said it agreed with the June 8, 2018 decision of the special NIA court which had declined to grant bail to Watali. “Accordingly, this appeal succeeds. The impugned judgment and order (of the high court) is set aside and, instead, the order passed by the Designated Court (NIA court) rejecting the application for grant of bail made by the respondent herein, is affirmed,” it said in its 89-page verdict. NIA in its appeal had contended that the High Court had virtually conducted a mini trial and even questioned the genuineness of the documents relied upon by the agency. Watali was arrested on August 17 last year by the NIA. Watali, Hafiz Saeed, Hizbul Mujahideen chief Syed Salahudeen and nine others have been accused by the NIA of “conspiring to wage war against the Government” and fomenting trouble in the Kashmir valley. In its chargesheet, the NIA has alleged that Watali received money from accused Syed, ISI of Pakistan, the Pakistan High Commission here and from a source in Dubai. The money was then remitted to the leaders of the All Parties Hurriyat Conference, a conglomerate of 26 political/social/religious organisations whose agenda is to create an atmosphere conducive to the attainment of their goal in Jammu and Kashmir of secession from the Union of India and to separatists and stone-pelters, the NIA alleged. Further, the separatist leaders have been accused of taking a cut of the money. Syed has been accused of using Watali’s services for passing on money to the separatists and some individuals, who were actively indulging in stone-pelting in the valley. The NIA has chargesheeted Pakistan-based terrorists Syed and Salahuddin, besides 10 others, with criminal conspiracy, sedition and provisions of the UAPA. Besides Syed, Salahuddin and Watali, the agency has named hardline separatist leader Syed Ali Shah Geelani’s son-in-law Altaf Shah alias Altaf Fantoosh and Bashir Ahmad Bhat in the chargesheet. Hurriyat Conference leaders Nayeem Ahmad Khan, Farooq Ahmad Dar alias Bitta Karate, Mohammad Akbar Khanday and Raja Mehrajuddin Kalwal have also been chargesheeted by the agency in the terror-funding case. Barring, Syed and Salahuddin, the rest of the accused are currently in judicial custody. Two of the accused -- freelance photojournalist Kamran Yusuf and Javed Ahmad Bhat -- both accused of stone-pelting, were earlier granted bail by the court.